As Senior Lead Advisor, Sarah works with clients to develop, implement, and monitor tailored financial solutions and is also a member of the firm’s Investment Committee. 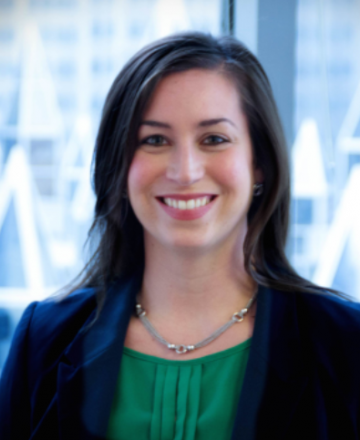 Prior to joining JFS in 2011 in the Pittsburgh office, Sarah worked as a portfolio administrator for BNY Mellon Wealth Management, Harrisburg, PA.
She is a member of the Financial Planning Association (FPA) and the Investment & Wealth Institute®. She earned a Bachelor’s Degree in Business Administration from Shippensburg (PA) University and her CERTIFIED FINANCIAL PLANNER™ certification in 2010. Sarah also earned the Certified Investment Management Analyst® certification in 2014 by completing the CIMA® program the University of Pennsylvania’s Wharton School of Finance in partnership with the Investments & Wealth Institute®. She lives in Moon Township, PA, with her husband and two sons. When she’s not involved in one of the many activities of her busy sons, she enjoys having a quiet moment with a good book and spending time with family and friends.